Ok, last bar exam post, I promise! 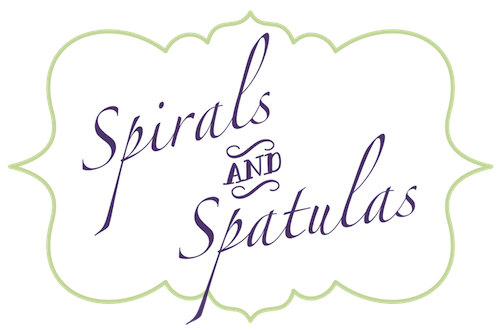 Tomorrow I'll go back to business as usual on Spirals & Spatulas. I just wanted to jot a few things down for the sake of comprehensively documenting this journey I've been on. First of all, I have never appreciated my dear husband as much as I have these last few weeks. He has been so perfectly selfless and amazing, and I feel so grateful. I stopped doing anything at all around the house for the last few weeks, and he made dinner, made sure I had food for lunch, washed dishes, did laundry, etc., etc. He did it all, no complaining, no questions asked. He ran to the store at 11:00pm to buy me more note cards, he set up our hotel reservations for me, and he came home to a stressed out wife every day for weeks and loved me anyway. I have been so amazed at the depth of his generosity. I know I've been tough to be married to recently, but you never would have known it by the way he was acting. When I was younger, I always used to think I'd get married around the time I turned 30 or so... I figured I'd do the career thing and then worry about finding a husband. But God had other plans. God knew I was going to need Jeff to get me through law school, and then the bar exam. He has been such a huge blessing to me. Secondly, as horrible and stressful as studying for the bar exam was, I think I handled it remarkably well and I kind of surprised myself with how level-headed I was throughout the whole process. Emotionally, I was pretty much just fine. I cried about it one night after staying up until 2:00am failing criminal law practice tests (criminal law = SO not my area of expertise), but I think one little crying episode in the entire summer really isn't bad at all. I know I've been under a lot of stress... my body has been letting me know. 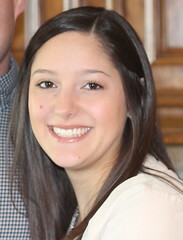 I lost 10ish pounds on accident (I think due to lack of appetite, which I'm pretty sure was stress-induced), my hair has been falling out, my skin was breaking out, I wasn't sleeping well, and I randomly started getting nosebleeds in July (I have never had nosebleeds in my life, so that was really weird). All textbook symptoms of stress. But even though I was clearly under a lot of stress, I was emotionally handling it really well. I think law school has made me stronger and more resilient. I've developed a confidence in my ability to do things that seem impossible thanks to those three years of law school, and I have an ability to set aside whatever anxieties I have and just do what needs to be done. I've grown a lot in the last three years. Now I know I can handle a lot more than I think I can. It turns out something positive did come out of those three years of Rough Stuff (with capital letters to convey just how rough the stuff was). And finally, I just really, really hope I don't have to take it again. I don't feel like I did well enough to be confident that I passed it. Of course, it's the sort of test that no one leaves feeling like "yes, aced it!" or whatever, but still. It's going to be a long wait until the results come out October 31st. Mostly, I just feel like I have to pass it this time because I don't think I can handle doing it again. The process of studying for that test was just too awful. The amount of hours I put in... I cringe just thinking about it. I almost feel like I have bar exam PTSD or something, and maybe I do in a mild sort of way. The thought of having to take the February one just kills me. I guess I'll just keep asking St. Joseph Cupertino (patron saint of test-takers) and St. Thomas More (patron saint of lawyers) to pray for me until the results come out. Bottom Line: the bar exam is awful. Studying for the bar exam is awful. Law school is awful, of course, but studying for the bar is just the icing on the cake. Icing on the cake of awful. I'm so glad it's behind me (for now, at least). I know the Bar Exam PTSD you speak of. I don't think I fully exhaled until I got my results! And it definitely doesn't help when everyone says, "Don't worry, I'm sure you passed!" Good luck! I think you've earned a massage, a stiff drink, and a day at the beach. And it's crazy how demanding the Bar is. Every other lawyer I know had the same mental frailty leading up to their exam dates. Oh Katie, I'm sure you ROCKED it! You're wonderful and smart and amazing, and you deserve this. I have faith! I think the worst part of all of this is the having to wait three months to find out your results! I am so not good at waiting, so I hope you manage better than I would. HUG HUG HUG So proud of you! Love you!